DIY Projects Under $100 Print this Project! 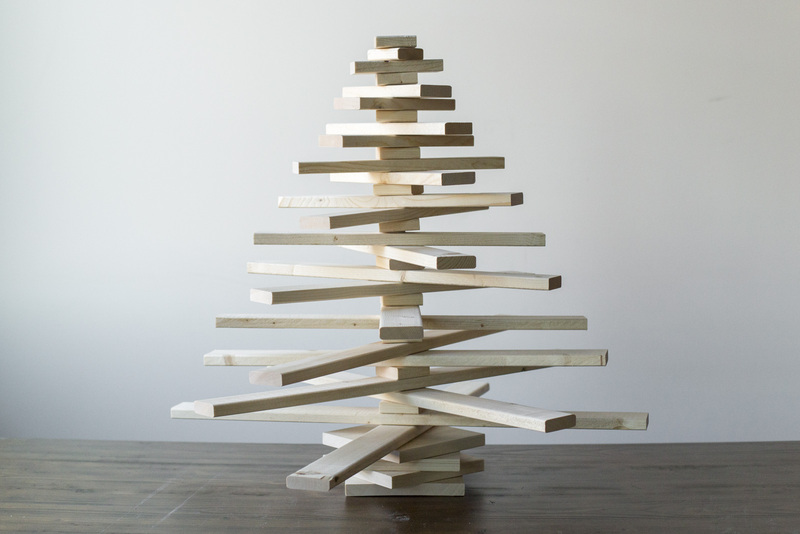 "This wooden Christmas tree offers an excellent (and memorably festive) solution for a small space." Having a tiny apartment is great during the winter. It's cozy, for one thing. And it's easier (and costs less) to keep warm. But a smaller apartment means floor space is a hot commodity, and a Christmas tree may compete with your dining room table or a nearby couch. 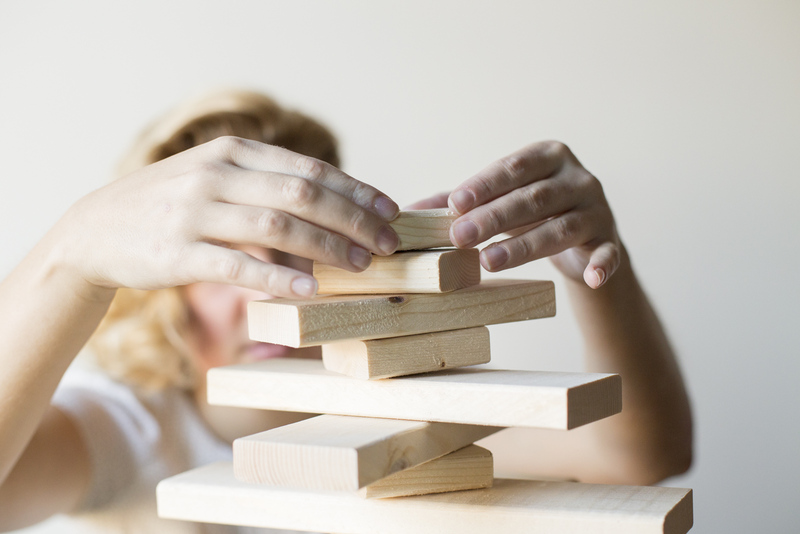 Thankfully we've got a great DIY project to solve this dilemma. A wooden Christmas tree offers an excellent (and memorably festive) solution for a small space. 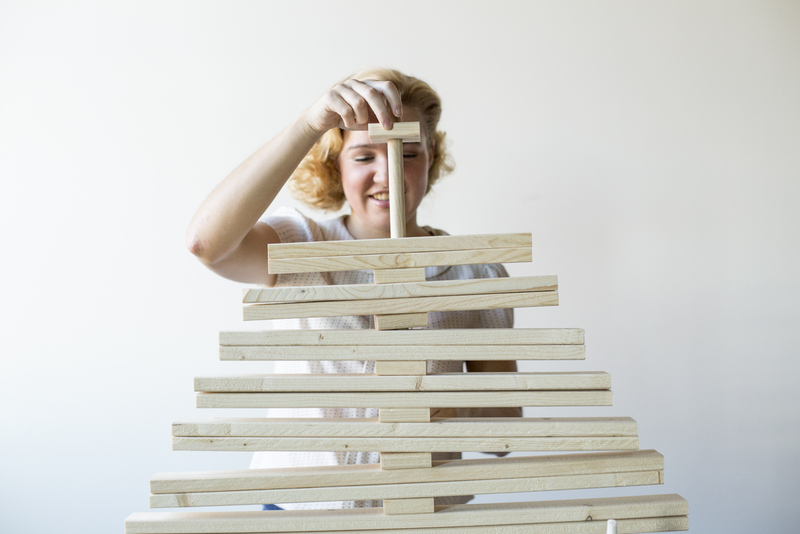 You can customize the size of the wooden tree to fit your space, it folds flat (which makes it great for storage), and if you happen to have evergreen-induced allergies—this will let you avoid them all together! Before we do anything else, we’re going to compare our dowel diameter to our spade bit. 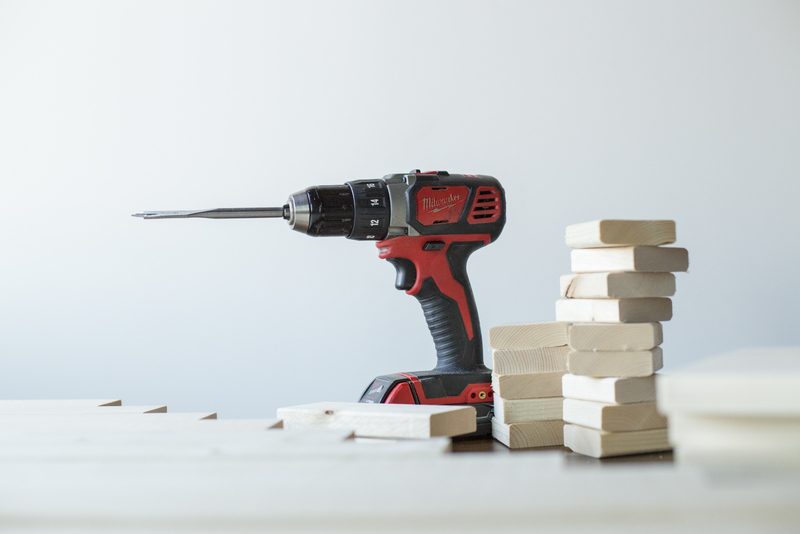 Drill bits are very precise in their measurements, while dowels (like all wood) vary a little in size. 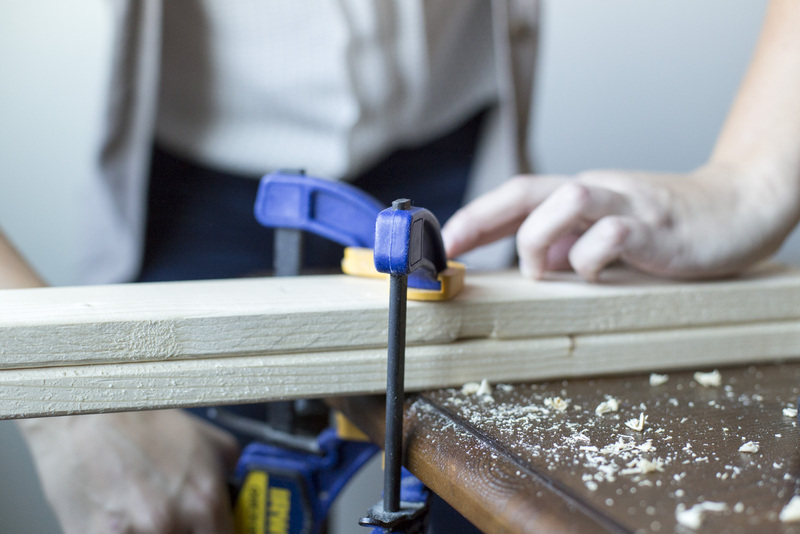 This means that sometimes you’ll pick out a dowel that’s too small to secure firmly in the hole, and sometimes you’ll get one that’s too big to fit. 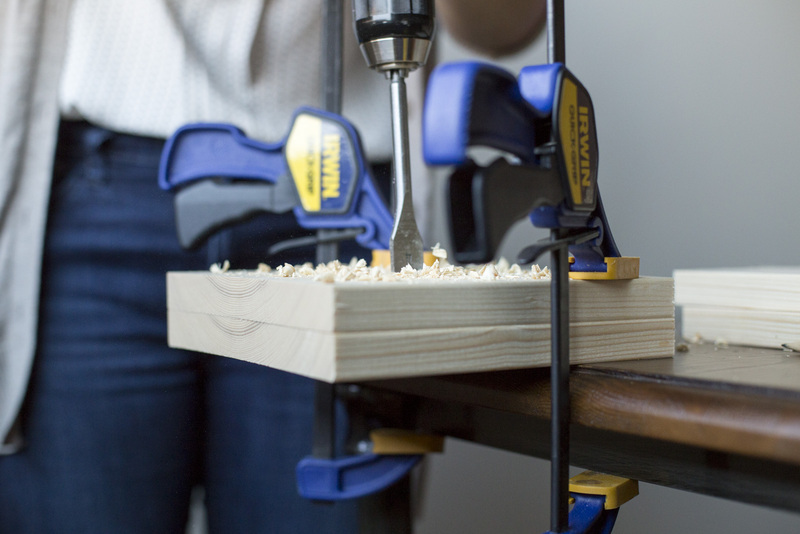 There are two solutions to this problem: You can drill a hole with a ¾” spade bit in a piece of scrap wood, take it to your local Dunn Lumber, and buy a dowel that fits snugly in the hole. 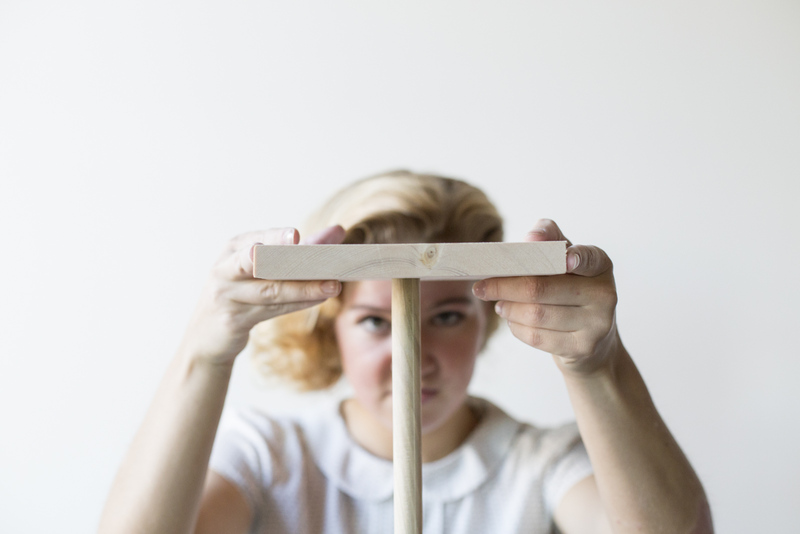 Or if you already have a dowel that has a little too much wiggle room, you can break up some toothpicks and wedge them into the hole around the dowel. 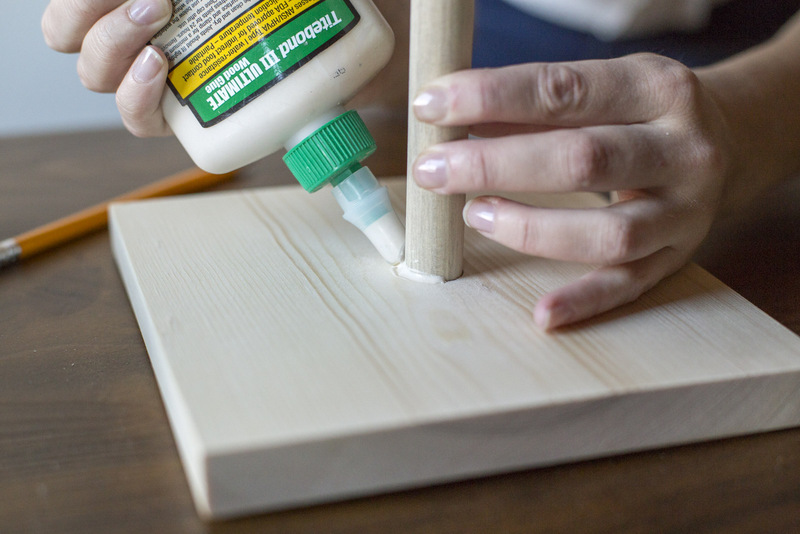 Combined with wood glue this solution will hold well. 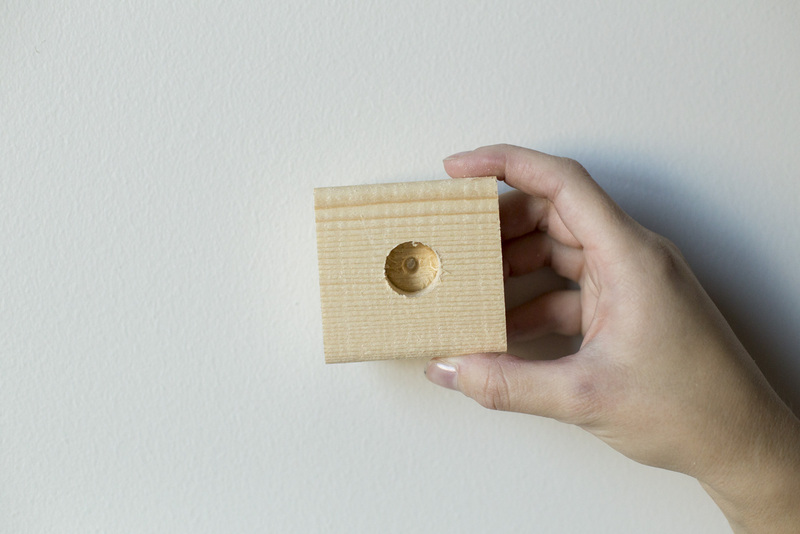 Using a combination square, find and mark the center of each piece. 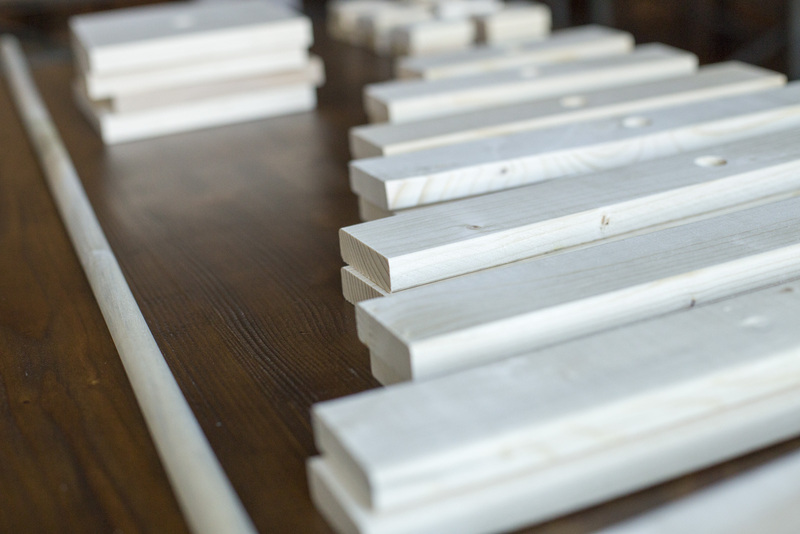 Stack all the pieces in pairs, and clamp the pairs to the edge of the work bench or saw horse. 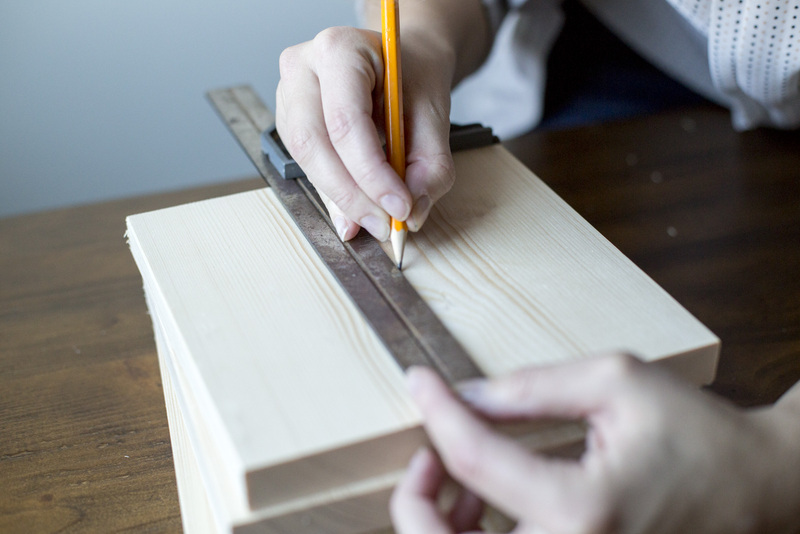 With a ¾” spade bit, drill through the pieces using the pencil mark as a guide. 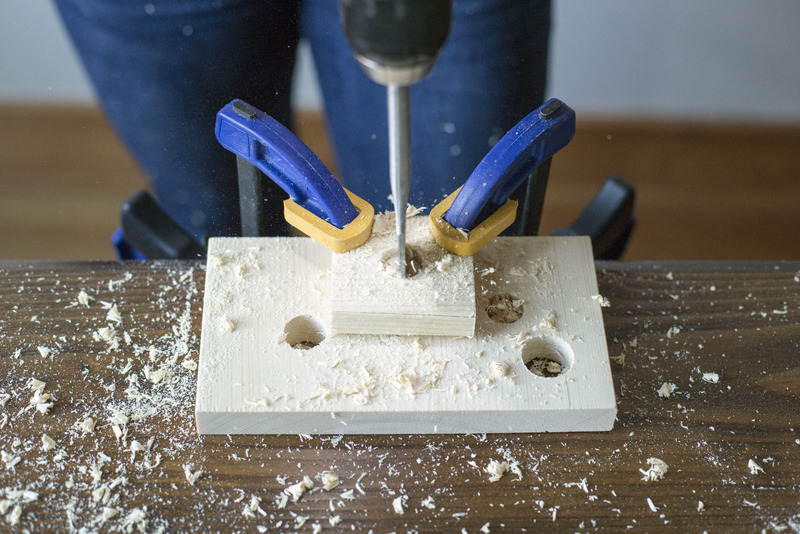 Only drill through the top piece of the pair, then switch positions and drill through the new top piece (having a piece on the bottom when you're drilling helps prevent breakage). 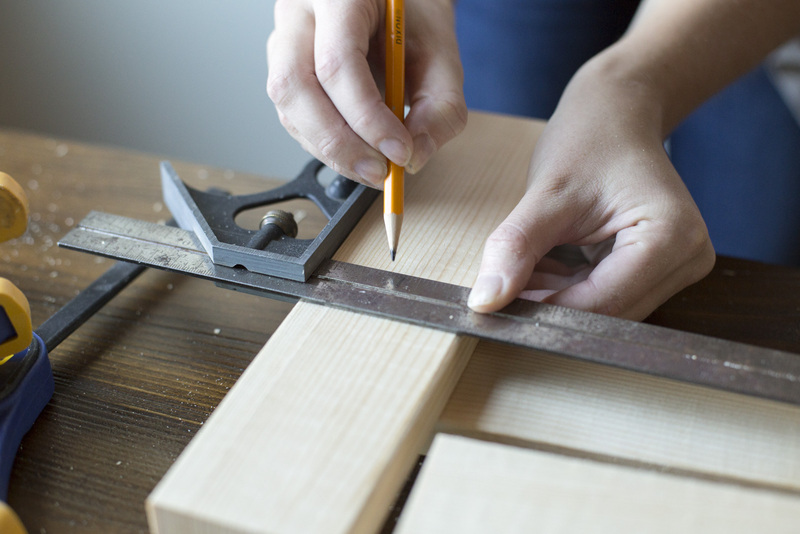 Set aside one 2 ½” square (as a spacer) and one 7 ¼” square (as the base piece). 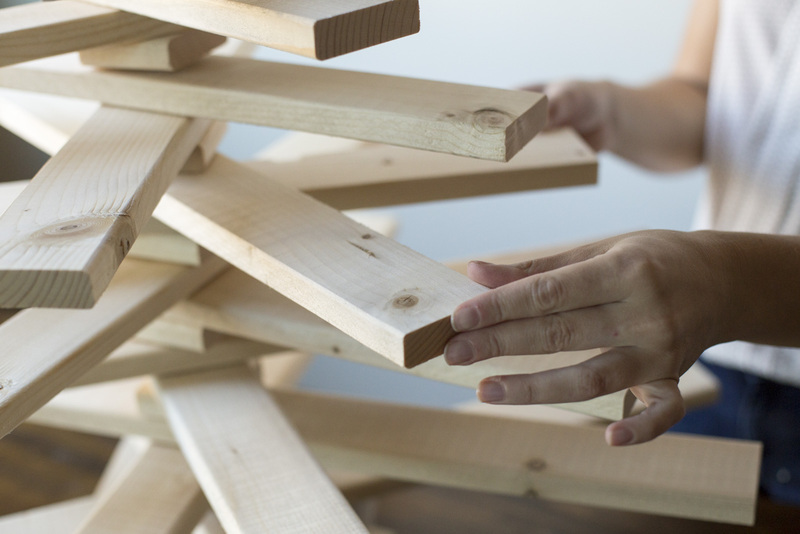 Do this with all the 1x3 branches, and the remaining 2 ½” and 7 ¼” squares. Sand all of the pieces, focusing on the cut edges and removing any large breakage around the drill holes (though these will be mostly covered up). If you want a smoother finish, you can grab a sander. 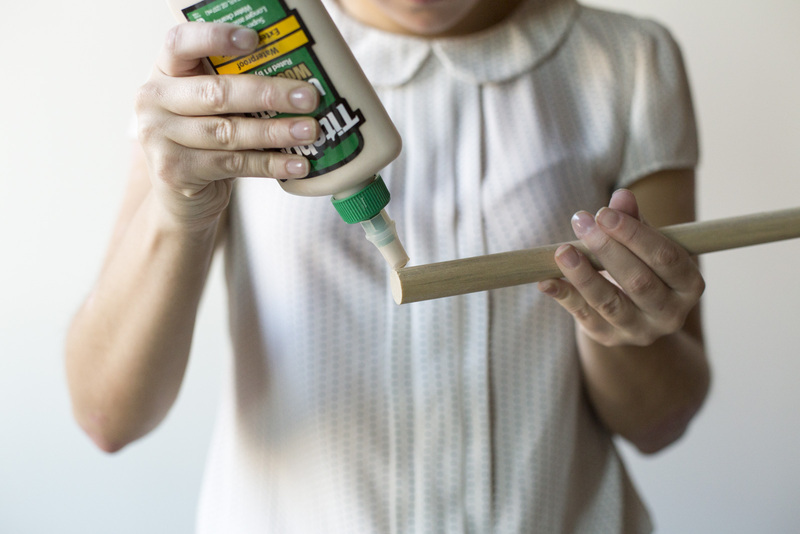 Apply wood glue to the end of the dowel and insert it into the bottom 7 ¼” piece (the one you drilled only halfway through). Slide on the remaining three 7 ¼” squares. Slide on the longest two branches (30 ½”), then a 2 ½” spacer. 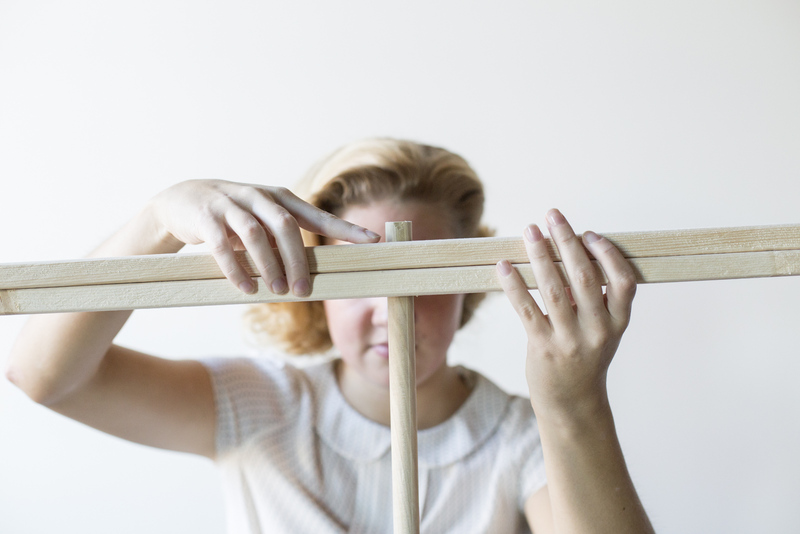 Continue this pattern up the dowel from the longest to the shortest branches. We decided to skip the second branch for the top of the tree (the 5 ½”) and replaced it with an extra 2 ½” piece. The original design was for the last two 5 ½” branches and just one 2 ½” square on top—but that's one of the great things about this pattern! It can totally be adjusted according to the look you want. 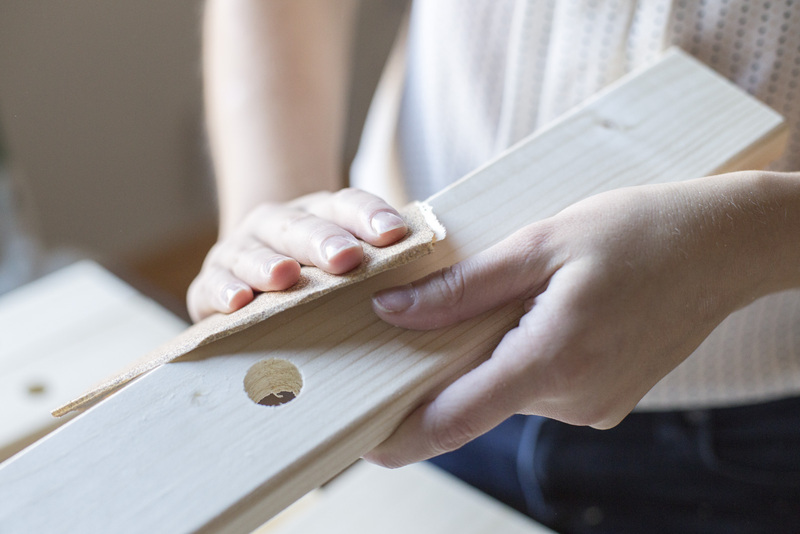 Do a dry fit of the final top piece to make sure the dowel is the correct length, and trim it if necessary. 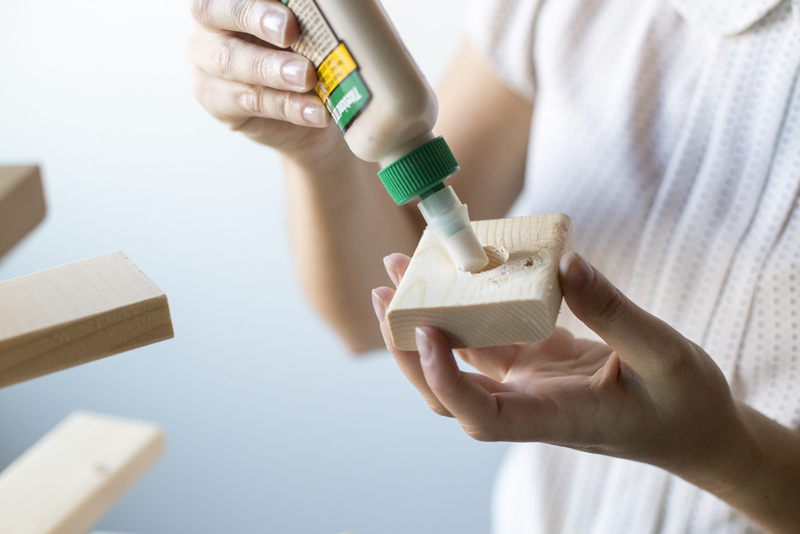 Attach the top with glue and press firmly in place. If desired, use a 1 ½” spade bit to create an indent on the end of each branch (or select branches) to hold a votive candle. Use electronic votives to avoid fire hazards. 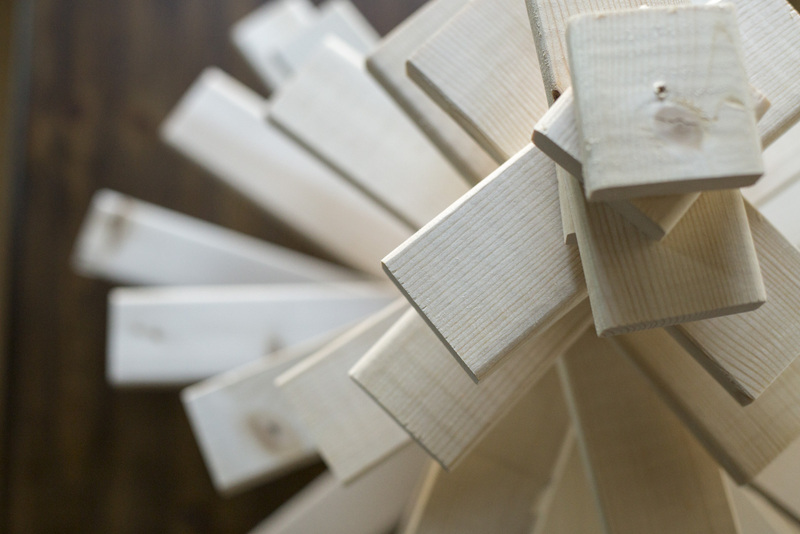 Your wooden Christmas tree is ready! The branches can be spread out or lined up for different effects, and the tree can be decorated with ornaments, lights, or paint! Lavender grows abundantly in the Pacific Northwest. Spend a weekend afternoon at Pike Place Market, and you can come home with an assortment of lavender goods: oils, soaps, lotions, and beyond. This lavender-infused all-purpose cleaner is a green (and lovely-smelling) alternative to harsh cleaning products. An outdoor fire makes a great gathering spot for deep fireside chats, stargazing, and of course—s’mores and marshmallows! The classic tabletop game gets a summertime upgrade when we make it life-size and take it outdoors.